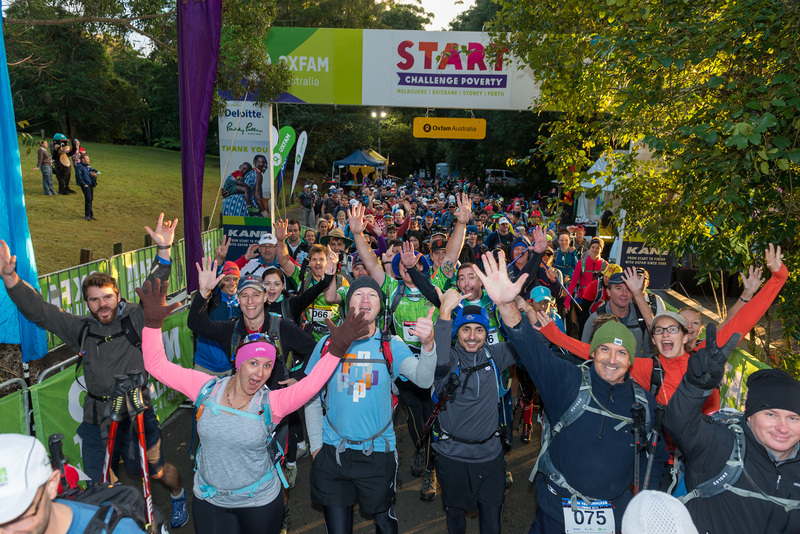 “Oxfam Trailwalker is a really special event — it takes you on a bit of a journey,"
From the South Downs in the UK to Lake Taupo, New Zealand, since 1981 teams have been taking up the Trailwalker challenge. Originally a Ghurka-led army training exercise, Oxfam now co-organize the event. With 16 trails and 9 countries to choose from, people all over the world are taking part in an Oxfam Trailwalker. Testing speed and endurance whilst walking through spectacular scenery, meeting people, supporting each other, rising to the challenge, raising money with each foot forward. 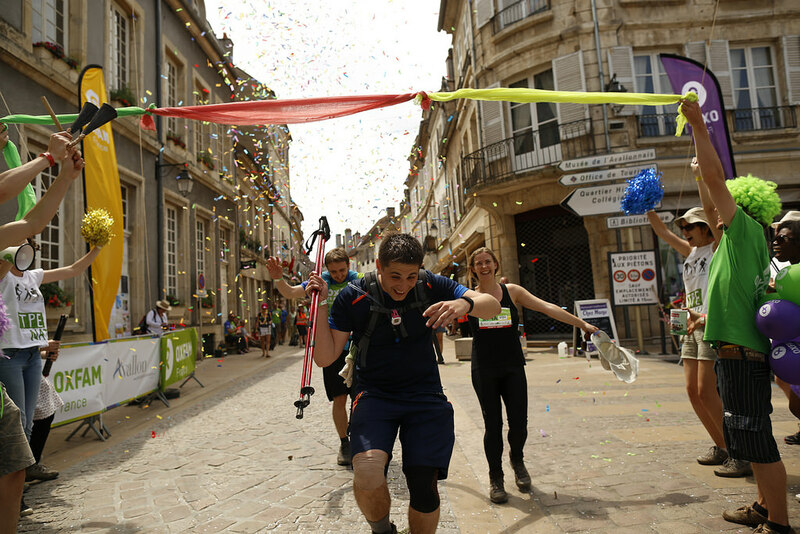 Before taking a single step on the trail, you are not just busy training, but also finding ways to raise money, with Oxfam encouraging you along the way. 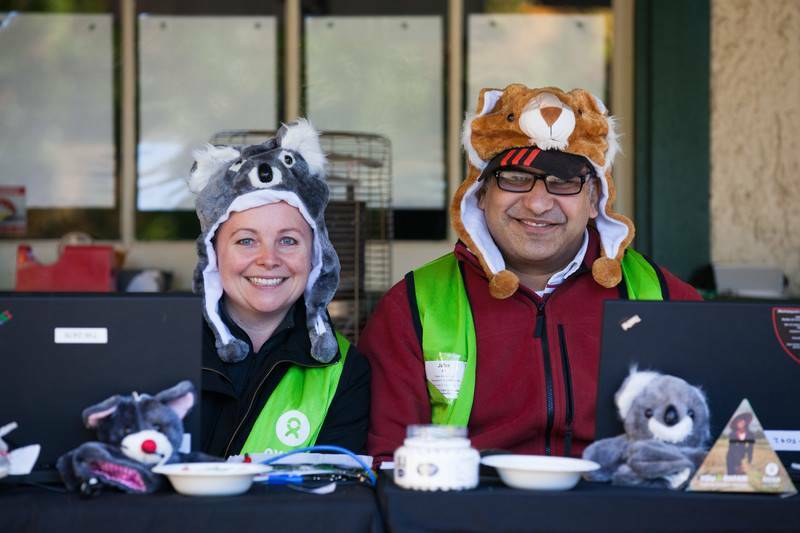 This year in Sydney Oxfam Trailwalker offered a prize without comparison. 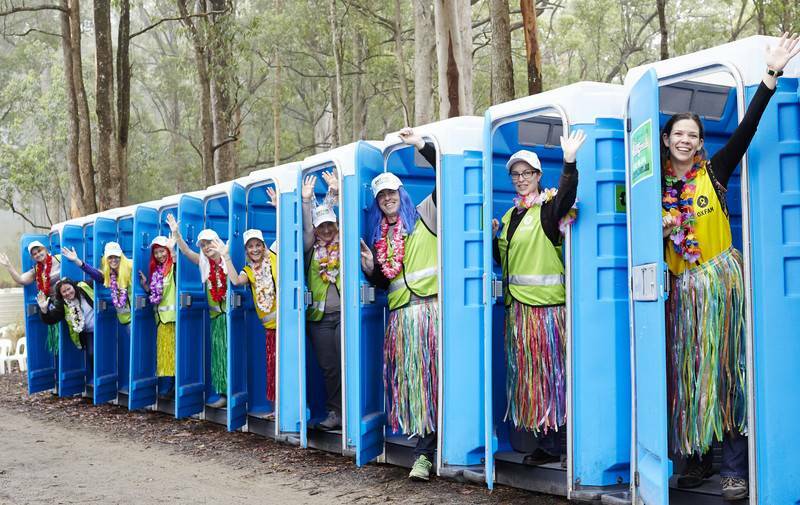 For every 200 Australian dollars banked into their Teamspace between midday 24 June and midday 15 July 2015, Trailwalker Sydney teams gained one entry into the ‘Money Dunny Draw’. The winner of the draw and the team at the top of the leaderboard getting their own private toilet at every checkpoint! From sausage sizzles, to cake sales, to carwashes, to concerts, to direct donations money is being raised to help Oxfam help people. In the South Downs, UK, Oxfam Trailwalker’s strong links with the Ghurka Regiment led to a quick decision to ensure some of the money being raised went to the Nepal appeal following the two massive earthquakes. Two weeks dedicated fundraising efforts raised an extra £159,000 for the relief effort before the event even kicking off on 27 July 2015. 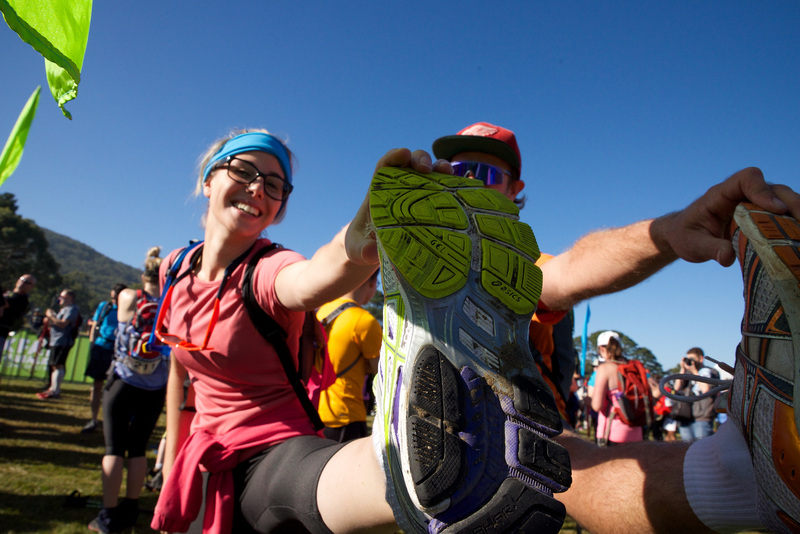 From first timers to Trailwalker ‘Legends’ (an honorific given to those who’ve taken part in five or more Australian Trailwalkers); to stay the course your team needs to take their training seriously with many of the challenges asking you to cover a distance of 100km within a time limit. ‘Legend’ Karen Franklin can't stay away, she has taken part in Trailwalker Brisbane since it’s inception. “Besides being a fantastic way to get fit, I was drawn to this event because it supports what I think is a wonderful charity and a cause that my family and I strongly believe in,” she says. Trailwalker isn’t easy, but it is a challenge that calls to many, from teachers to soldiers to admen to retirees to work colleagues to 19 year old student Santiago ‘Santi’ Velasquez, blind since birth and taking part in the 55km Brisbane Trailwalker with his father, his teachers and Lockie his guide dog. Ordinary people taking an extraordinary challenge. “I’m looking forward to the satisfaction I will get from completing this with my dad as he has supported me so much with my training and walking over the past few years,” Santiago ‘Santi’ Velasquez, 19 year old member of a 55km team in Oxfam Trailwalker Brisbane 2015. Yes the going get’s tough, but there is satisfaction, pride, joy and the experience is one that you take away with you and remember forever. And let’s not forget the purpose; to raise money to alleviate suffering, fight injustice, and be where it matters when disasters strike in the world. Dippak and his team’s fundraising efforts were rewarded with the company of Oxfam Ambassador Rahul Bose for part of the trail. Photo: Oxfam India. Trailwalker is a fantastic way to meet people, bringing people together from all walks of life as you share in the excitement of Oxfam’s biggest fundraising event and, most importantly, make a difference. Not everyone signs up with their teams ‘ready-made’, so for many of the Trailwalkers Oxfam Lonely Boots and singles boards help get people together who want to take part. Teams like Team Caribu (Trailwalker Belgium) made up of people from three different countries, who trained separately and only met up on the day. “It was a very special adventure to put together a team with members from different countries (France, Belgium and Germany), who met for the first time on the day itself.” Maike Rochon, Team Team Caribu. It’s not just the dedicated walking teams that make Trailwalker. Their support teams are vital, giving practical help such as providing food, drinks, clothing, massages, as well as moral support and encouragement when the trail gets tough. The wonderful volunteers who man the checkpoints, mark out the trails, register teams, and whoop and holler for every team, are essential to making our Trailwalkers happen. “To say i enjoyed it would be massive understatement. Being involved in such an exciting and challenging event is a huge emotional roller coaster. It is so hard but there is such spirit, especially with struggling teams that when they make a milestone there is huge elation. Totally addictive, I'd love to be involved every year, if not as support to help a specific team then as a volunteer for Oxfam…” Heather Westron - Trailtrekker veteran has taken part as both walker and support. As Elena Rodriguez Intermón Oxfam Trailwalker (Madrid and Girona) put it, “Each Trailwalker is a journey of kilometers and emotions.” Kilometers that change the lives of families who will get access to clean water, tools, seeds and support. Emotions that change the lives of those who are part of each test, as friends and colleagues bond on the trail. So why not choose a Trailwalker near or far, find your team and start fundraising to bring lasting change in people’s lives? Half the Oxfam Trailwalker/trekker challenge is fundraising - to bring about lasting change in peoples' lives.